that needs to be edited into something wonderful? a beautiful, memorable video that you can enjoy over and over again. Contact Us and let the magic begin! Do you have raw video from a party or other event that you would like to have edited into something wonderful to watch? We can get it done for you! Do you have Wedding Video that needs to be edited? We can edit a full length keepsake video and a FREE highlight video for sharing online! Do you have video and photos that need to be edited into a special montage for a Birthday, Wedding, Reunion, Anniversary, Memorial Service or other event? 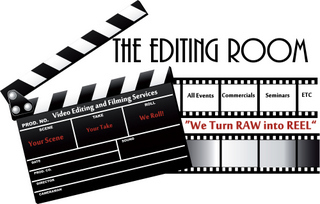 The Video Editing Room - "We turn RAW into REEL!"